Sokobond is a puzzle game that tripped several of my alarm bells when I bought it. Indie darling, with suspiciously high review scores from the usual suspects? Check. Use of the words “minimalist” and “elegant” – which too often turn out to be synonyms for “shallow” and “vapid” — to describe the game on its Steam store page? Check. Co-opting of a science-y theme to make itself seem cleverer than it really is? Check. 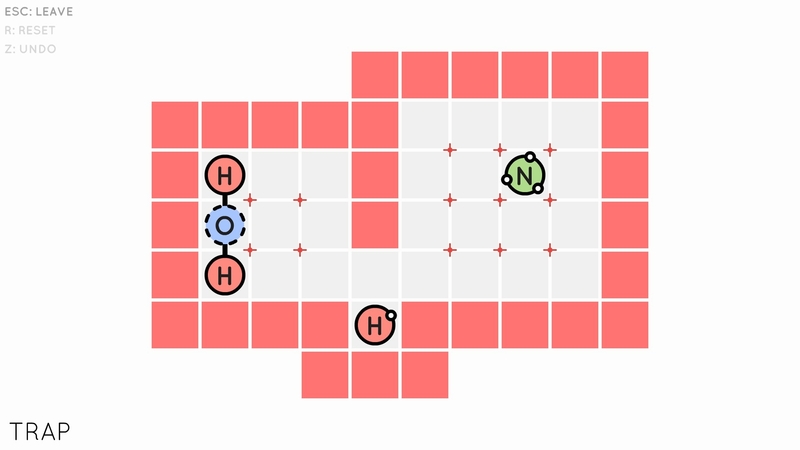 This didn’t exactly augur well for Sokobond, but on the other hand its molecule-arranging gameplay did remind me of SpaceChem and SpaceChem was awesome, so I decided to give it a whirl.